When my wife, Mary, and I embarked on composing Waiting for Love, it was with an eye toward helping children celebrate the season of Advent/Christmas in a meaningful way through performing the cantata as a whole and by incorporating the songs into their catechesis and their liturgies. The songs of Waiting for Love can help us enter into the liturgical mysteries of Advent and Christmas in a more spiritually profound way. Not all of the songs will lend themselves to liturgical use, but those that do have connections with the Scripture readings of the season as well as the season’s imagery, and so may find themselves helpful in aiding the assembly to worship the God of the Incarnation. The text of the song is based on Micah 6 and Isaiah 40. The refrain proclaims the mission of all believers: to love God and one another, and to walk humbly before him. This song is appropriate for liturgical use on those Sundays of Advent wherein we hear of John the Baptist: 2nd and 3rd Sundays in year A; 2nd Sunday in year B; 2nd and 3rd Sundays in year C.
Inspired by Isaiah 9:1–6, this song proclaims the excitement of God’s imminent promise of a messiah. It is in this song that the Advent theme of joyful anticipation is made manifest in this collection, like children awaiting a gift at Christmas. This song is appropriate all throughout Advent. A spirited proclamation based on Isaiah 2:1–5, this song emits the joy that comes from ascending the mountain of the Lord, a mountain that is not a fortress in war, but a temple of love, where God will teach all people his ways. While appropriate throughout the season of Advent, this song is especially appropriate on the 1st Sunday in year A, when we hear that reading proclaimed. The Gospel stories of the Annunciation and the Visitation are closely related, and are brought together in this song. Mary, the model for all Christians, trusts in God and gives herself completely to his will. She teaches us to do the same, for it is only in doing God’s will wholly and completely that we find true joy and peace. In this song we honor she who would be the first tabernacle, theotokos, the “God bearer.” The joy of this song and its treatment of the text make it most appropriate for the 4th Sunday in all years, and also for the solemnity of the Immaculate Conception of the Blessed Virgin Mary on December 8. The story of John the Baptist is intimately woven through the story of Jesus’ birth and the beginning of his public ministry. The text of this song, based on John’s words and the prophecy of Isaiah, bids us to prepare our hearts to receive the Lord whenever he comes, for he comes to bring light, joy, and peace. This song is especially appropriate on the 2nd and 3rd Sundays in each year. One of the most beautiful Christmas carols, this beloved piece is a foundational part of celebrating the Christmas season. While this carol is appropriate all throughout Christmastide, it is especially appropriate for use on the feast of the Holy Family of Jesus, Mary, and Joseph. The number of verses, especially the inclusion of three eucharistic verses, makes this especially useful during Communion processions. The text of this song is written to evoke a response from those who long to see the Christ child: “Tell us, why have you come?” Inspired by Luke 2:8–18, this is an appropriate song for Christmas Eve and also for the Solemnity of Mary, the Holy Mother of God on January 1. While Advent gives us the opportunity to prepare our hearts for the celebration of Christmas, more importantly it bids us to look toward Christ’s return at the end of time. This song has its basis in Matthew 25:31–32a and Revelation 5:12–13, giving us an eschatological glimpse of the promise of God. The eschatological imagery therefore makes this an appropriate song throughout Advent, especially at the beginning of the season. Originally published in Today’s Liturgy © 2016 OCP. All rights reserved. 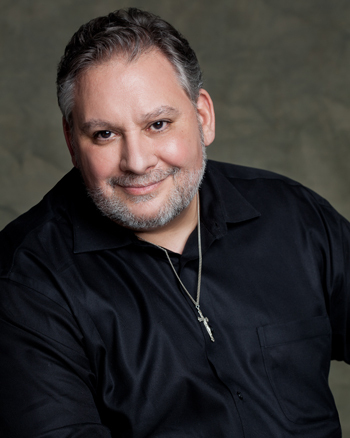 Gerard Chiusano is a composer and clinician with OCP, and is Director of Music and Liturgical Formation at the Catholic Community of St. Joseph in North Plainfield, N.J. He holds a BA in music from Thomas Edison State University and is pursuing a Master’s of Arts in Theology at the College of St. Elizabeth in Morristown, N.J.